If you were to explain who God is from a Biblical perspective, you would have to define him as a Trinity. The Trinity has three unique characteristics that we will look at: 1) God has always existed as three persons.. God the Father, God the Son and God the Holy Spirit. 2) Each person is fully God and 3) there is one God. One of the biggest misconceptions about God being three distinct persons is something called modelism. Modelists believe that God just acted as the Father in the Old Testament, as Jesus in the Gospels and as the Holy Spirit in the epistles. I mean a person can be a mechanic by day, a city council member during the afternoon meeting and a father at night. Isn’t this just what God does? Nope. Again, God is still God while being three distinct persons at once. This is how in John 17 Jesus could pray to his Father in heaven while he was still here on earth. While there are three distinct persons within the Trinity, each Person is also fully God. 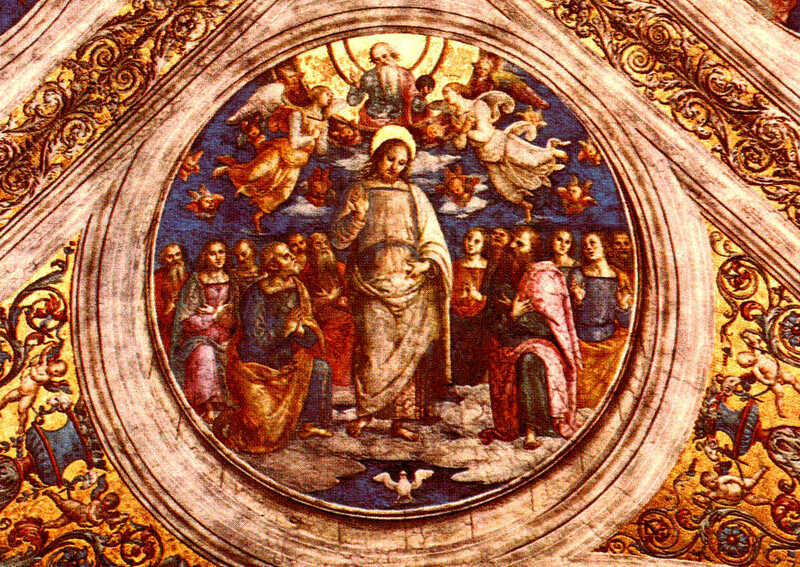 There has been little dispute that God the Father is God himself, but a sect called the Arians say that Jesus and the Holy Spirit were both created by God and hence not fully God. Isaiah 9.6 says, “and his [Jesus’] name shall be called Wonderful Counselor, Mighty God…” and about the Holy Spirit Acts 5.3-4 affirms that the Holy Spirit is God as well. As crazy as it seems, while the Bible affirms that there are three distinct Persons within the Trinity and each one is fully God, it also affirms that there is but one God. At the end of the book of Matthew, after Jesus rose from death, he told his disciples, “Go therefore and make disciples of all nations, baptizing them in the name of the Father and of the Son and of the Holy Spirit..” As with many other passages, this one affirms that there are in fact three persons within the Godhead, but that we are to baptize in the name (singular) of the three. This week make an Old Fashioned or have a coke and think about how awesome it is that a God created us that we can’t even explain!